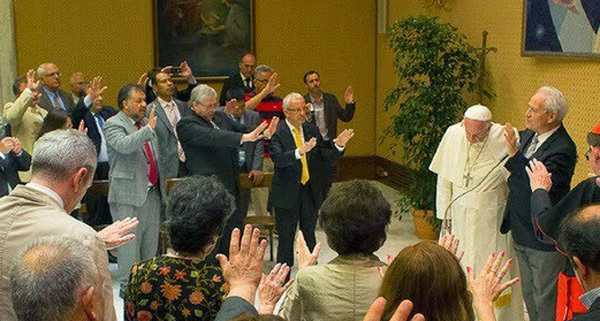 On May 9, 2015, in a room adjoining Paul VI Hall at the Vatican, Francis received about 100 Protestant Pentecostal ministers from around the world. 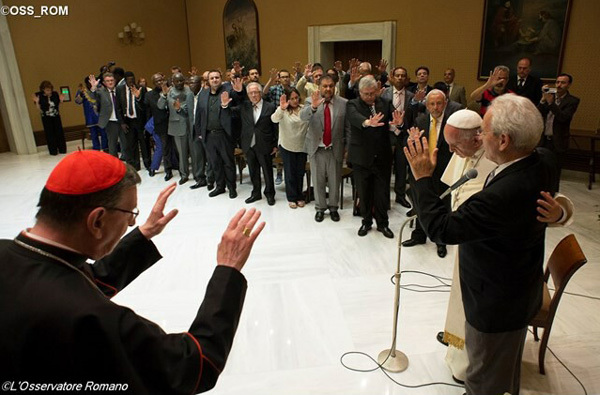 The delegation was led by Giovanni Traetino, head the Pentecostals of Caserta, whom Pope Bergoglio visited last year. On this occasion the heretical ministers gave a "blessing" to Francis, above & below first row. 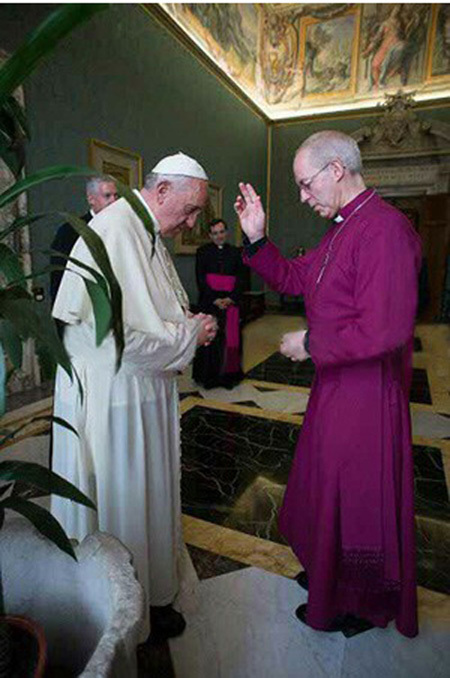 Bergoglio's bowed head and sham recollected attitude was meant to send the message that the invocation was a true blessing and that the Protestant sects direct their followers to Heaven in the same way that the Catholic Church does. Francis' theatrical pose is a good example of the heresy of universal salvation expressed in gestures. Second row below, the Pope also asked Justin Welby, head of the Anglican sect, to "bless" him on June 14, 2014.